REAL ice vortex installed into Kerry Park Recreational Centre's ice water system. 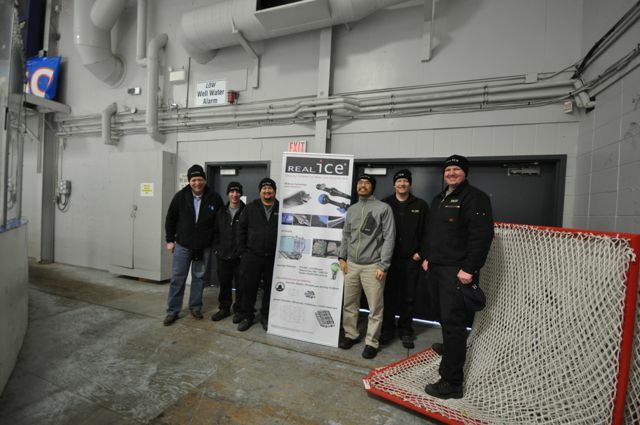 REAL ice vortex leaves the ice surface clearer and stronger than traditional methods. Ice lasts longer and needs less maintenance. 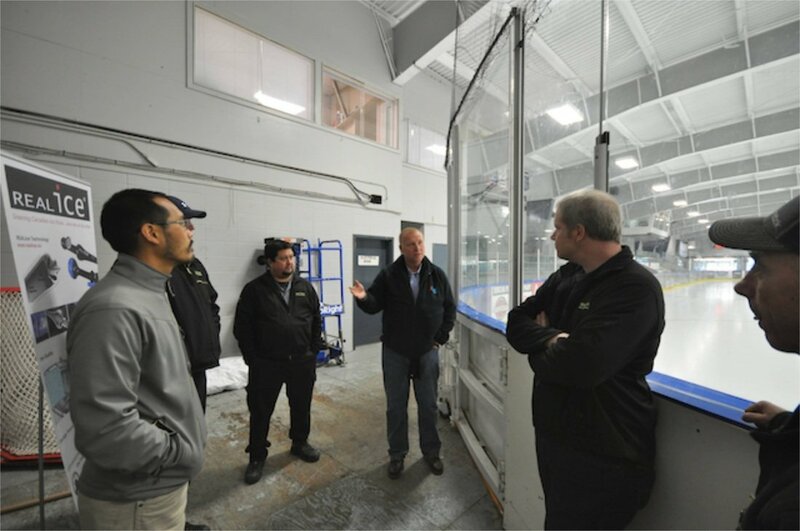 The crew at Kerry Park discusses the improvements to the arena's ice quality after implementing REAL ice. REAL ice has helped Kerry Park save time, energy, and costs. What's not to smile about that? Founded in 1970 and home to the Minor Hockey Association’s Kerry Park Islanders, the Kerry Park Recreation Centre is an indoor ice rink open seasonally from July to April. It offers public ice skating, figure skating, ice hockey, and curling. From April to July, the arena’s dry floor space is used for lacrosse, ball hockey, and in-line hockey as well as trade shows and conventions. The Cowichan Valley Minor Lacrosse play and practice here. 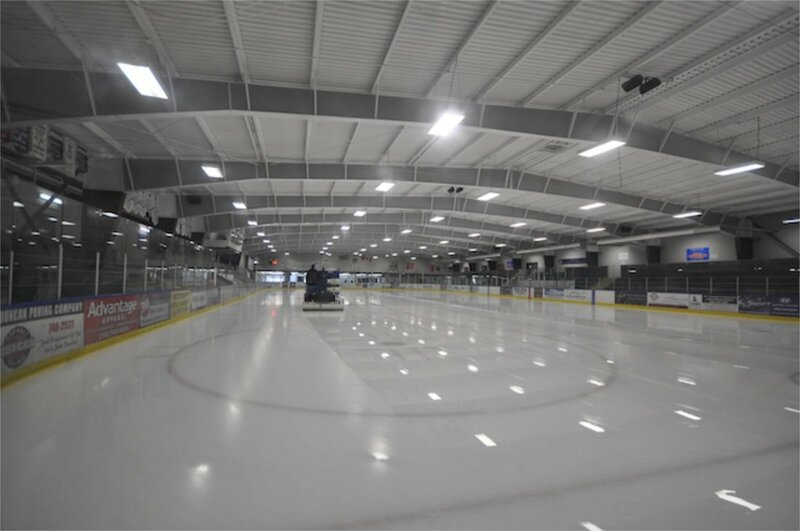 Features: Standard size arena (200 ft x 85 ft), seating capacity of 750 people, 5 dressing rooms, referee room, announcing booth, warm room, skate rental shop with skate sharpening, and a concession. Chart: average kWh/Day comparison before and after REAL ice. 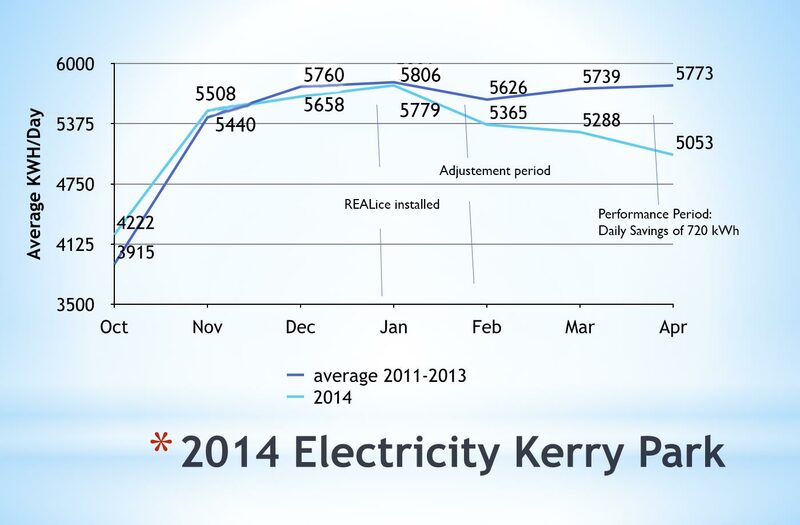 The REALice® system enables to save on average 720 kWh/day. Get started with REALice® right away. 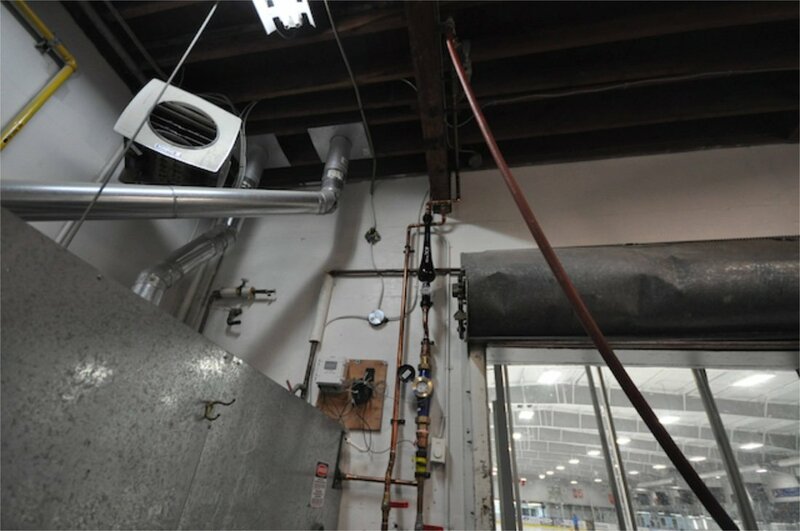 Start renting the REALice® system, save energy and money from the beginning and purchase later.